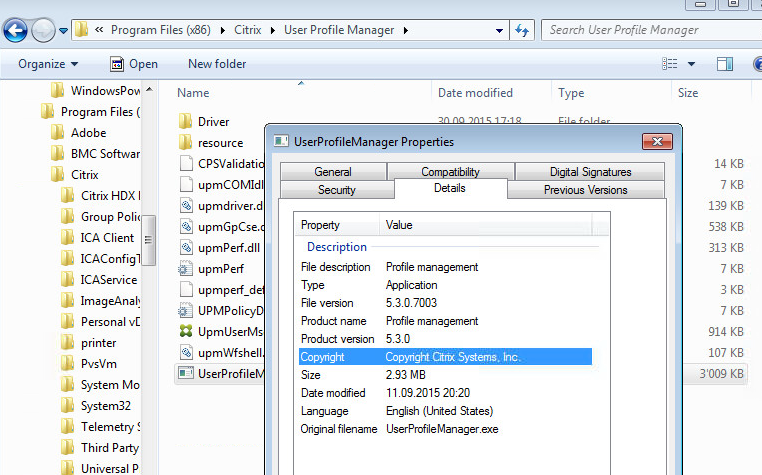 Citrix User Profile Manager 5.3 ? The hidden release of UPM 5.3, the finding of today … 2 days ago the Feature Pack 3 for XenApp & XenDesktop which contains the new Citrix Virtual Desktop Agent which should support Windows 10 . I replaced the VDA Tech Preview with this Version on my Win 10 VDI. In my updating fever I also tried to update it on my Win7 VDIs, and wow, I found out that it contains a new version of Profile Manager, version 5.3! I was surprised that with the installation of FP3 some profile issues i had was gone on my W7 VDIs. Problem: I want to solve my profile issues but I cannot install FP3 VDA because of this issue. 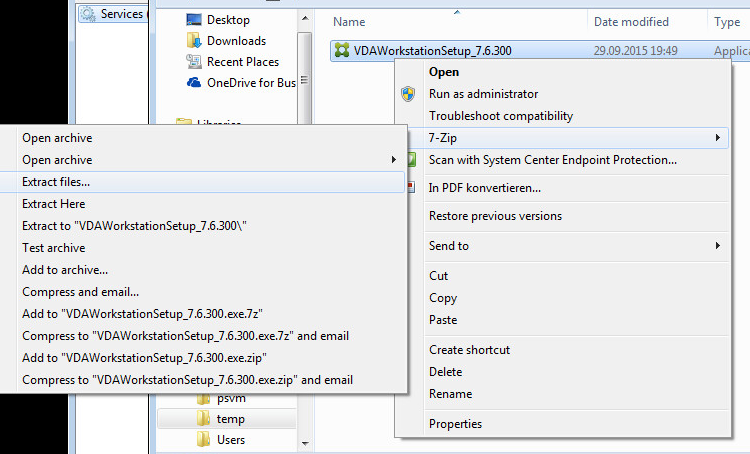 Erik Bakker (@bakker_erik) gave me the great hint to unzip the VDA Source (VDAWorkstationSetup_7.6.300.exe or the vdaserversetup.exe) to extract the files needed for UPM 5.3. Thanks! Update: Seems there are Issues with UPM 5.3 on Windows 10, I propose to wait with the installation of 5.3. 2 Responses to Citrix User Profile Manager 5.3 ? Nice Sacha. I’m interested to know what profile issues you are trying to resolves that 5.2.1 contains. Jeremy I was running on 5.2.0 and had issues when I’m connected to multiple VDIs at same time, so my profile get corrupted. Seems that also 5.2.1 solve this issue.